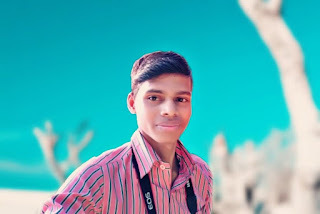 I know, you have a Smart Phone that may be 3G or 4G , may be an Indian brand or a Chinese or another country brand, it may be a budget smartphone or may be a premium smartphone. It's true that all we are not only enjoying by it, but also we are doing many work by it. But we don't know that it has a ‘Live’. Yes, I know, it can't able to understand / exchange emotions like us . But still it's far better than an animal! When there's coming a question about its Security, we suddenly open our eyes. But it's late, there will be nothing!!! So, friends, in this post/article, I will share some basic tips by which you can protect your smartphone from theft or loss. Do slide up the page to protect your smartphone!!! When we buy a new phone or a second hand phone, we have to register a Gmail id to that. By which we can register our phone in Google. If you don't have a Gmail account, then you must create an account with your name, DOB and your mobile number simply & easily. When you set your screen lock password, always use a strongest Password (don't use any Pin, Pattern Lock or any ) & keep in mind that your password will not be guessed by anyone . For example, if I set my lock password as 'rccreature097' , then it may be guessed by anyone. 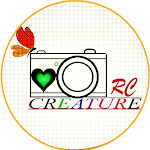 But if I set it as 'RccReatuRe$097' , then it may never be guessed. Got it ? Don't worry, just read this article line by line!!! 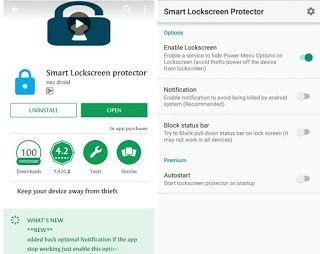 For locking your Smartphone Lock screen, there is more third-party apps to help you with free and also some are paid in Play Store. But here, I will recommend you to download a app namely 'Smart Lock screen Protector ' . Install here and lock your Lock screen. Yes, I know, if we keep this turned on, then our battery will be vanished in some hours. But in this 4G era, our smartphones are not only smart, they are Super Smart as it knows how to save its battery!! Am I right or wrong? Comment below ! 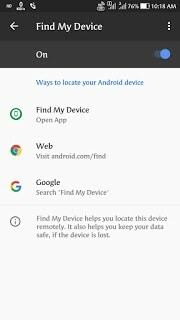 As soon as possible, log on to your "find my phone" service from a secure device. Try to locate the phone on a map. If it's nearby, have the phone ring. If it's not close enough for you to reach within the next few minutes, push the erase button. By which your all data will be erased from that device. So friends, it was some of basic tips by which you can protect your smartphone from theft or loss ! Hope you will protect your smartphone. If you have any other doubts or any suggestions, then publish a comment below. Thank You! !